Since Street Fighter: The Legend of Chunli is showing, I decided to dedicate the following week to Street Fighter, my all-time favorite arcade game. Btw, what's your favorite Street Fighter character in arcade? 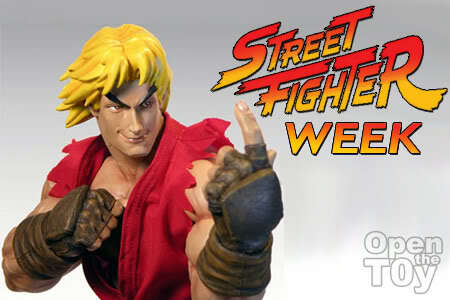 Nice pose you did for Ken master!! What Ken figure is that? My fav characters are Blanka and Dhalsim! It is a ken statue. Between Blanka and Dhalsim which one you prefer bro? You watch that movie already? How's the review? Btw, Kristin Kreuk is a little bit of Asian, FYI. And she dress a bit like Chun-Li in one of the scene. Last time I played using Sagat a lot, basically because my cousin told me to. So, Sagat then. I share your view too. There was a time I train hard with sagat too in Street Fighter 2. Tiger-uppercut.